The Twiterverse has spoken, and it’s really excited about International Women’s Day. Search for “International Women’s Day” on Twitter and the tweets don’t stop pouring in — “Happy International Women’s Day” is the third most-trending topic on Twitter. 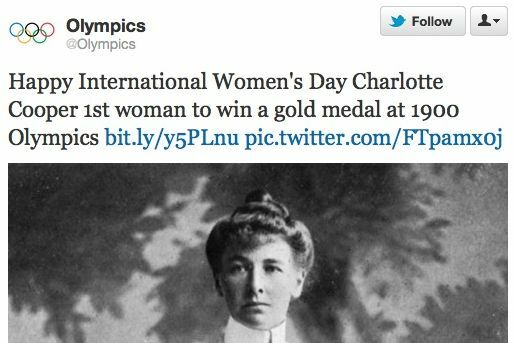 There are tons of the expected, “Happy International Women’s Day!” tweets and many insightful ones calling for change or reflecting on womens’ accomplishments. There are a few insensitive ones saying women should get back in the kitchen or asking why there is no “International Men’s Day,” but such diversity of opinions is expected from any mass social network. InternationalWomensDay.com says this year’s theme is, “Connecting girls, inspiring futures.” And the entire month of March is Women’s History Month.